Become member of the Registry of Nature Habitats. By providing benefit to wildlife species through landscaping, we would like to personally thank you for your efforts. To participate, fill in our application form (Application Form). 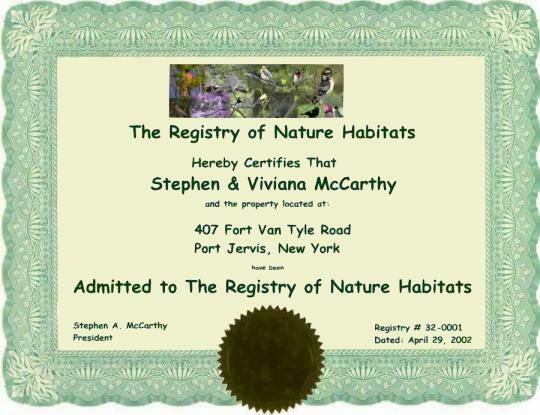 You will find instructions which will explain how to qualify to become Admitted into the Registry of Nature Habitats. Yards which meet habitat qualifications will receive an 8 x 10 authentic, signed and numbered frameable certificate as shown below.